Social media advertising is now a core skill that businesses need to master. It sits next to email marketing and content marketing as a core competency that the marketing team needs to have in their toolkit. The top social media channel that most digital marketers have as their “go to network” is Facebook. But Facebook ads come in all shapes and sizes. Boost posts, create awareness, capture leads, drive traffic, grow your likes and many more. It is complicated and often confusing. That means you can waste a lot of money fast. 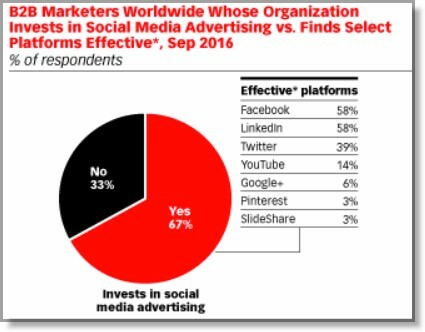 So how are other organizations spending their dollars on social media advertising? According to some research by eMarketer more than 66% of B2B businesses devote dollars to social media advertising. The top 2 by a significant margin are Facebook and LinkedIn. Followed by Twitter and YouTube. Google+, Pinterest and Slideshare pick up the crumbs. If you are going to spend money on digital advertising then you need to make sure you know why you are doing the ad. This means you need to make sure you know what your goals are. You need to be clear on is this this simple question. What are your marketing goals? 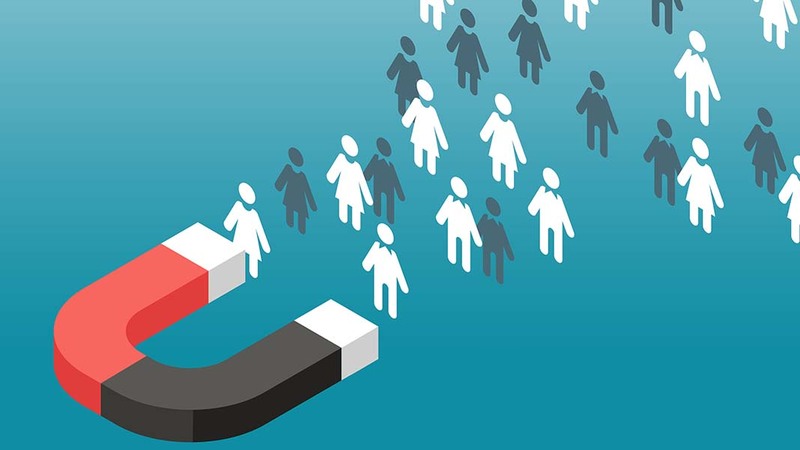 Is it brand awareness, engagement or is it to convert leads to sales. Here is an example of the “Buying cycle” from Lee Odden at Top Rank Marketing to provide some perspective on your goals at different parts of the journey. For most business to business (B2B) companies the primary goal is not brand awareness but generating leads for their sales team. Facebook wasn’t seen as a good B2B platform but that is now proven to be a myth. Businesses that sell to other businesses usually have a higher ticket item and the education process is often a longer journey. It is about building trust and credibility with content not just a special discount offer. This means you need to offer something of value before anything else. Best practice can be a murky art and science at the best of times in marketing but there are some tips worth considering. Use ad types on Facebook that are focused on lead generation. 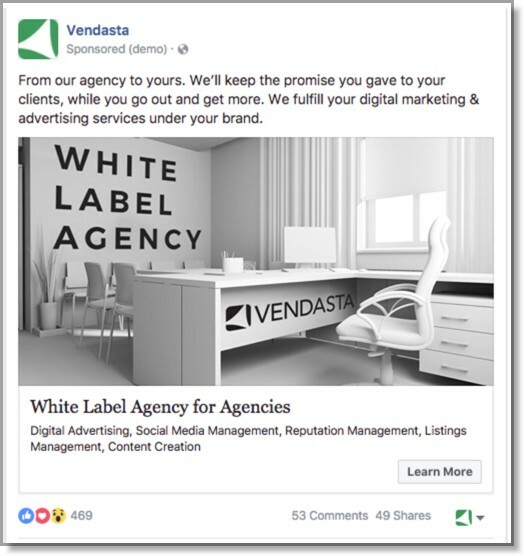 Vendasta captured 2,000 qualified leads using this Facebook ad type. Focus on creating a sales path that includes awareness, consideration and conversion. Here is a graphic from Wordstream that show the core objectives to choose in your Facebook ad dashboard. A lot of money is wasted on Facebook ads. So it is it important to get the basics right. It means you need clicks and conversions when the ads are sending traffic to a landing page, such as your landing pages or Lead ad pop-up within Facebook. 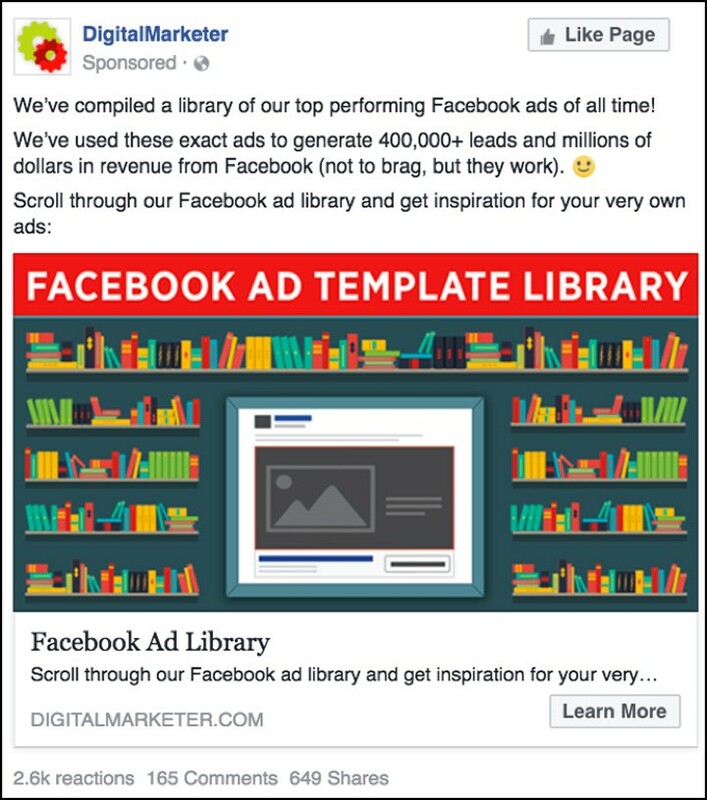 Here are 3 specific and high performing examples of Facebook ads that drive leads and sales. Ryan Deiss and his team at Digital Marketer run an annual conference called Traffic and Conversion. Their focus is very much about leads and sales. No fluffy campaigns for them. Here is their top performing Facebook ad according to their data. It is all about generating leads and not about making a sale. That comes later. According to the metrics this ad works for the following reasons. The image portrays the marketing message. It is congruent and relevant. So make sure that image and copy work together. The advertising copy is tempting and is designed to be so compelling that you need to click on the ad. Also swipe files are some of the top performing resources that you can create. 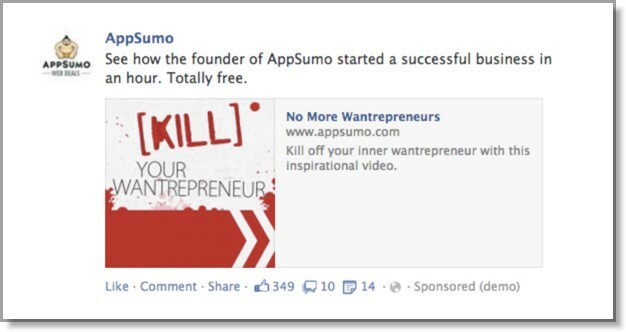 This exact Facebook ad generated 83,285 leads at $3.26 each. Noah Kagan is the genius behind AppSumo and SumoMe. I also use SumoMe on this site for lead generation (100,000 leads and counting) and sharing buttons. So they know a bit about lead generation. But I digress. Noah has spent over $2 million in Facebook ads and here is an example of one that works well for him. He is not trying to sell. All he wants is someone to hand over their email address. It is all about email list building first and selling later. Also it is compelling and it generates curiosity as you want to know how he can start a business in just one hour. According to connect.io each email lead costs $3, and every 89th email lead went on to buy the course giving him $267 in net profit after all deductions and cancellations. 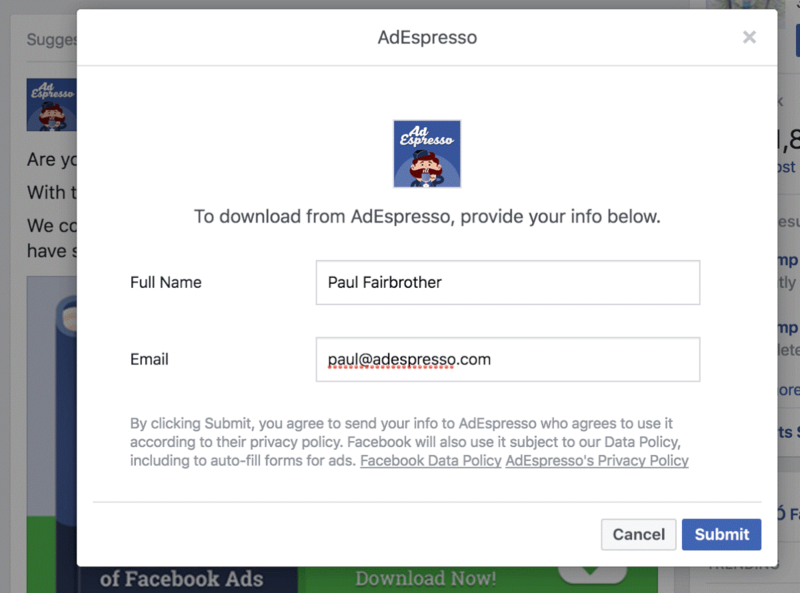 Ad Espresso decided to run a test between running an email list building campaign that tested the performance between two different campaigns. 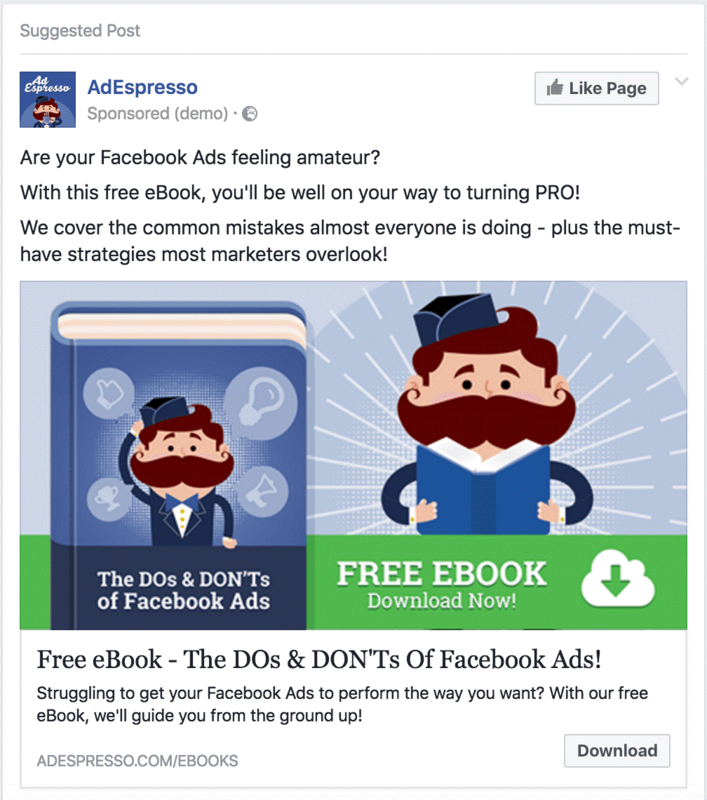 Driving traffic to a “Lead Ad” that captured leads without leaving Facebook. The call-to-action was a free ebook. They set aside a daily budget of 60 dollars per day, with a total spending cap of 1000 dollars per campaign. This is what the actual Facebook Ad looked like. This is how the pop up within Facebook looked. Landing page results: Of those that came to the landing page, they captured 1,077 leads. This was a conversion rate of 50%. Lead ad results: There were 1,569 clicks on the Lead Ad Form, and 1,057 people completed the Lead Form. So a conversion rate of 67%. The other interesting part of the test was that the costs of the advertising from Facebook Lead ads went up dramatically after 7 days. Also they mentioned that for cold traffic campaigns, there’s a hypothesis floating around that Landing Pages blow the socks off of Lead Ads, since Lead Ads only required a “name” and “email” (very little commitment). Facebook ads can be a great way to build your email list and sales. But you need to make sure you are always testing and making sure that you are not wasting your money.